The mental state of students in universities is being brought into the spotlight recently. As pressures increase for those attending post-academic studies, the British government has chosen to provide universities with a certificate of excellence to those meet the new standards relating to mental health care. It is designed to provide students with the help needed when facing a health crisis. It was stated that in Wales and England that data suggested almost 100 students committed suicide over the course of the last 12 months. 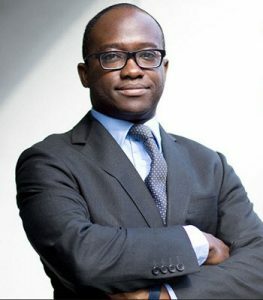 The Minister of Universities, Sam Gyimah is expected to release the criteria that is needed to be met in order to receive recognition. The government will reward those institutions that make mental health a priority for staff and students, and who have undertaken the appropriate steps to improve the well-being of those attending and those who are employed by the institution. To help achieve this, the government is working closely with the Office for Students, Charity Student Minds, the NUS and Universities UK. The struggle caused Moyse to lose interest in socialising, and that led her to become obsessive about exercise and her weight. The height of her crisis came just as Christmas approached, which Holly then chose to alert the university. This resulted in her receiving counselling sessions and assistance where she could get follow up counselling. As her recovery continued, she was passed on to other mental health professionals who provided her the help she needed. “At that point my eating disorder was very serious. It was life-threatening. They were quite strong about the fact that I need to have an authorised break,” said Holly. “So when I came back the following September to restart my course again, they were very supportive. As she progressed, she was given a mentor who would meet with her weekly for several hours talking about her feelings and anything she was struggling with. After facing her troubles head on, she is expected to graduate this year from the University of Derby. The University of Derby is assisting with the research to help develop the new mental health charter and has already implemented mandatory classes for staff to get training on mental health wellbeing and how to identify the signs of those who might be in trouble and in need to help.